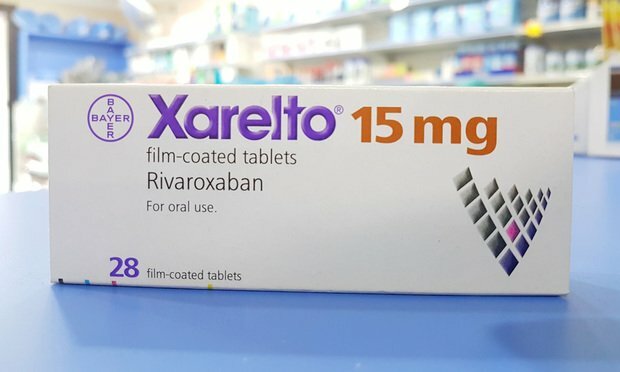 Nationwide litigation over claims that Bayer and Johnson & Johnson failed to warn about the risks of the blood thinner Xarelto has come to a global settlement of $775 million. The litigation involved nearly 25,000 claims pending in a multidistrict litigation in federal court, as well as nearly 2,000 pending in Pennsylvania state court. Although some of the theories that were presented in the six cases that went to trial differed slightly, all of the filed cases are based on claims that Bayer and Janssen Pharmaceuticals, a subsidiary of Johnson & Johnson, failed to adequately warn that the drug could cause dangerous bleeding episodes, stroke and death. The settlement came after numerous defense wins in both federal and state court. U.S. District Judge Eldon E. Fallon of the Eastern District of Louisiana had overseen the federal multidistrict litigation, and Pennsylvania Judge Arnold New had been supervising the mass tort program in Philadelphia. In a statement to the press, Bayer spokesman Chris Loder said the companies will equally share the settlement amount and that Bayer’s share will be partially offset by products liability insurance. “Bayer continues to believe these claims are without merit and there is no admission of liability under the agreement. However, this favorable settlement allows the company to avoid the distraction and significant cost of continued litigation,” Loder said. Attorneys from Wilkinson Walsh + Eskovitz were lead defense attorneys at several trials, and attorneys trying the case for the plaintiffs included lawyers from Levin Papantonio. The litigation included three defense verdicts in federal court and two defense verdicts out of Philadelphia state court. The only plaintiffs’ win was a $28 million verdict in late 2017, which was later tossed out by the trial court on appeal.